A premier full-service spa & salon in Breckenridge. Unmatched by the competition for over 17 years! Let our team of inspired professionals help you take refuge within our pristine sanctuary, provided in part by our million dollar mountain view, to transform you both inside and out. 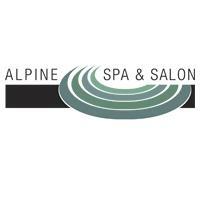 Along with the superior level of craft and technique used to perform our custom treatments, our passion in bringing every guest a sincere and warm service experience will affirm what distinguishes Alpine as the number one spa & salon in the area.